Time flies and now is the time for Ramadhan! If you don't know what is Ramadhan, let me tell you. Ramadhan is Muslim month of fasting, which Muslims are refrain from eating, drinking, sexual relations, smoking, and other sinful behaviors, from dawn till sunset. And of course, after sunset, they are allowed to buka puasa, which is to have a feast!! Personally I am abit paradox when comes to Ramadhan. 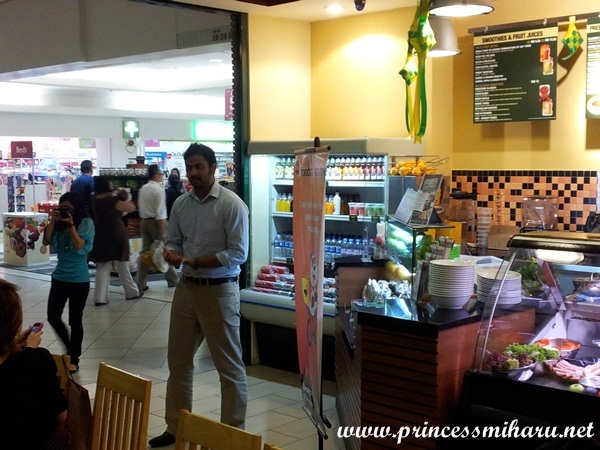 I like Ramadhan because you can find so many Muslims food bazaar and get yummy Malays' traditional dishes. On the other hand, I dislike Ramadhan because the road traffic become 10 times worse than usual!! Eventually you start to stuck in jam from 4pm. fml. In addition, most of the halal restaurants will be so extremely packed during the buka puasa time. Not to mention finding parking bays. =.="
Now all these problems could be solve with foodpanda.my!! 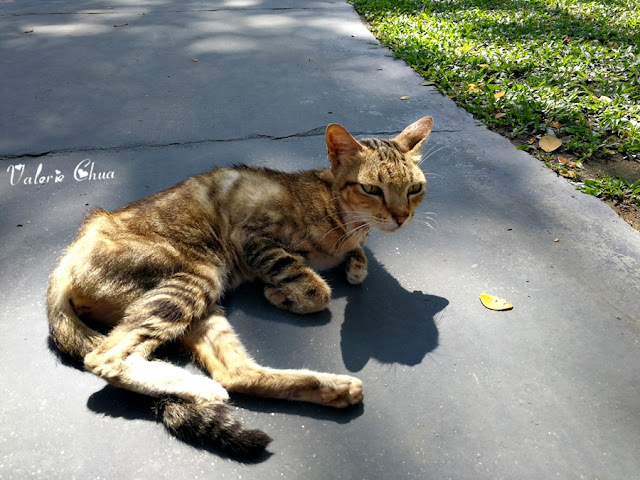 foodpanda.my is an online food-ordering delivery website that offers more than 100 restaurants and variety of cuisines, such as Chinese, Indian/Punjabi, Thai, Malay, Korean, Japanese, Middle Eastern, etc. 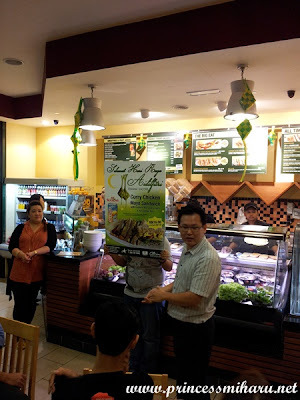 In conjuction with Ramadhan, foodpanda has introduced Malaysian bloggers with one of its restaurant, O'Brien's Irish Sandwich Cafe at Mid Valley Megamall outlet. 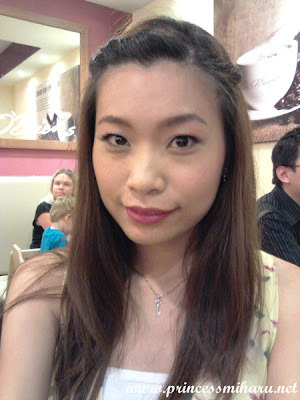 And here comes the main character (except all the yummylicious sandwiches) of the night!! 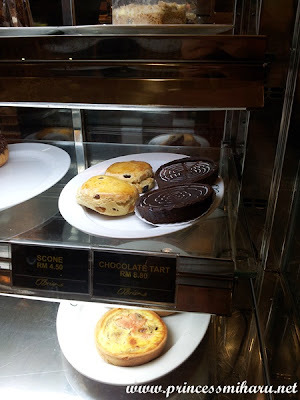 I eyed on the Chocolate Tart, which is not the highlight of the night.. :"( But...but... okay fine, I go get it next time! 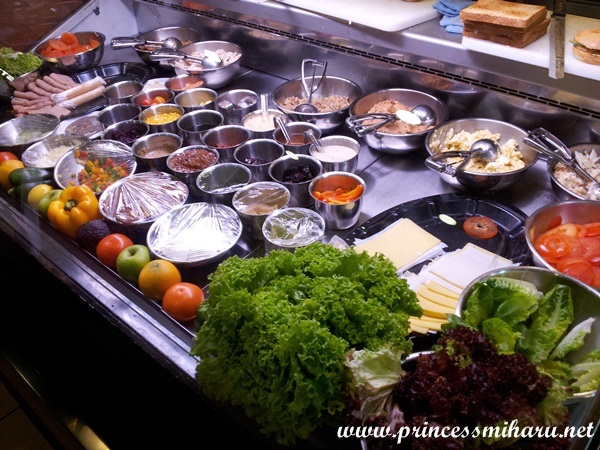 Look at all the colorful vegetables, cheddar, hams...etc. I was hungry to the max. 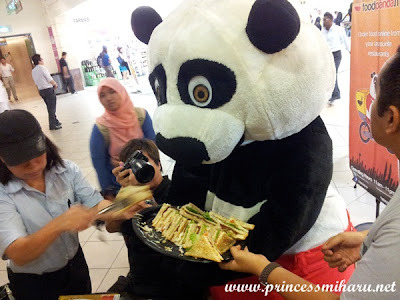 And the foodpanda started to serve the sandwich to all the bloggers! 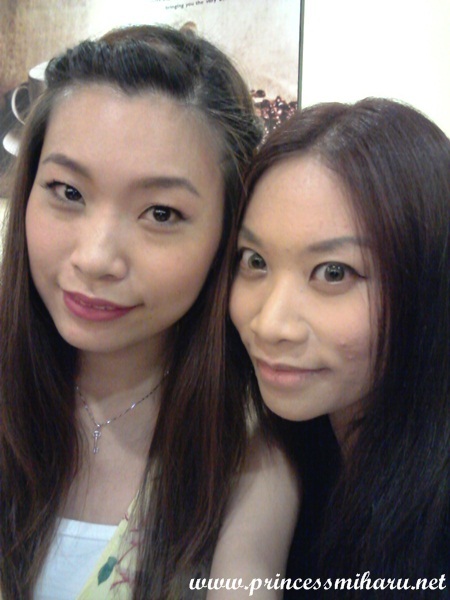 Hooray!! 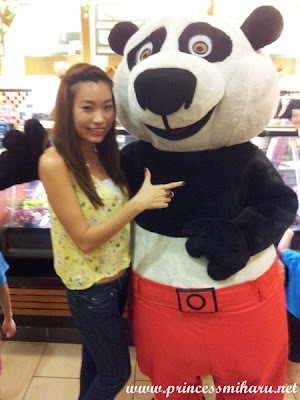 So capable of the panda huh! 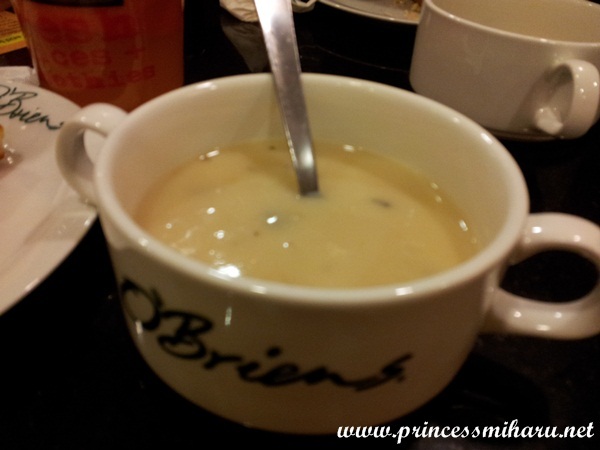 O'Briens serves freshly brewed premium coffees. 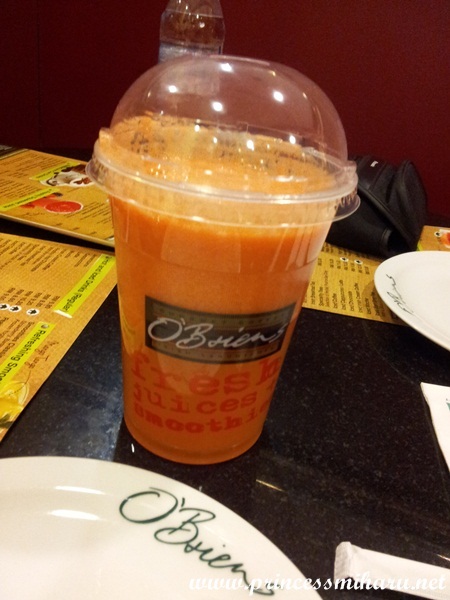 If you are not coffee lovers, fear not, O'Briens also serves specialty teas, fresh fruit juices, smoothies and iced drinks. I have ordered a Good For The Skin (RM10.80) freshly squeezed juice, which is a combination of tomato + carrot + apple. 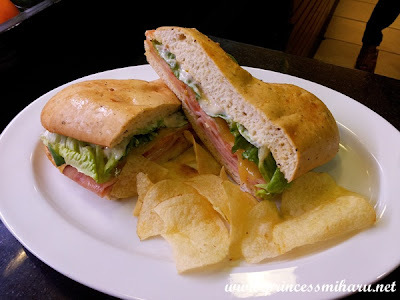 We were served with 3 Signature Hot Toostie Sandwiches, which is the toasted sandwiches. 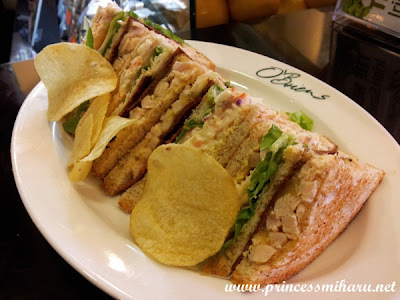 The first one is O'Briens Chicken Tripledecker (RM18.80). Toostie with chicken and chicken crisp, lettuce, cheddar cheese, red onion, coleslaw, and tomato. This is Chicken Slice and Cheddar Cheese on Shambo (RM15.80), which is my favorite among three! This is made of Toostie with fresh tomato, red onion, lettuce, and honey mustard mayonnaise. 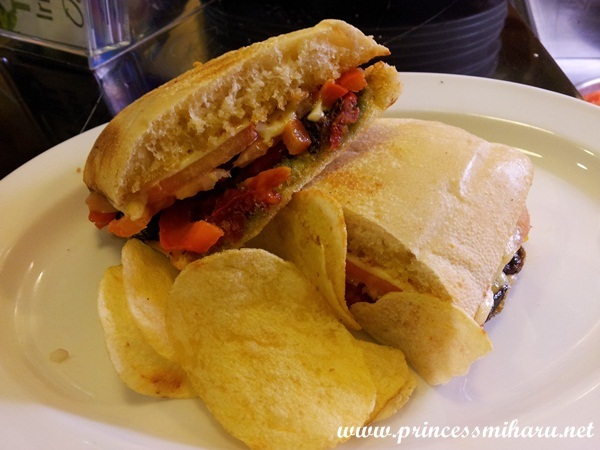 The Sundried Tomato on Hot Ciabatta (RM15.80), which is a vegetarian dish, made of Toostie with sundried tomato, red onion, fresh tomato, mozzarella cheese, roasted vegetable and basil pesto. Of course, you can add chicken to this one, with RM3.50. O'Briens also introduced their new sandwich for this Ramadhan, the Curry Chicken Mayo Sandwich with cashew nuts and grapes. Thought this sandwich gonna be wet? No no, is not wet with curry sauce! And its not spicy, no worries! 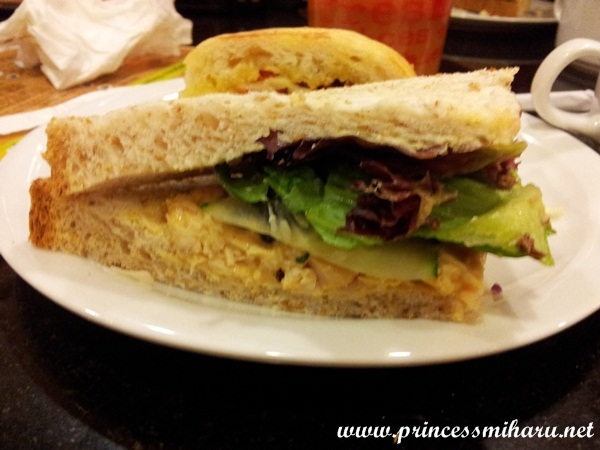 The taste of curry powder in the sandwich triggered your taste buds a little bit different from the usual sandwiches. 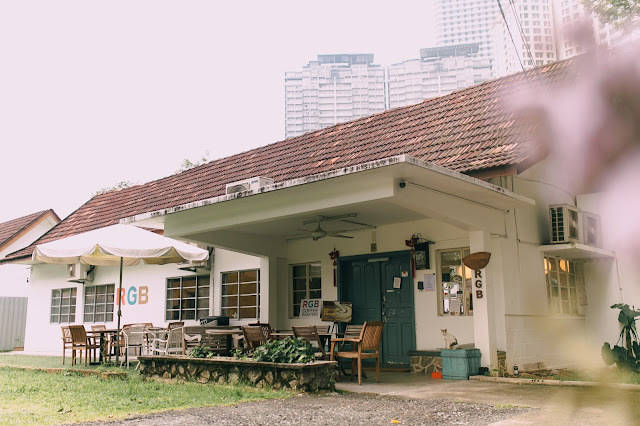 Besides O'Brien's Irish Sandwich Cafe, foodpanda.my is engaging with restaurants such as Canadian Pizza, Sushi King, Secret Recipe, Fatty Crabs, ChicKing Friend Chicken, Darabif, and Hakka KL. 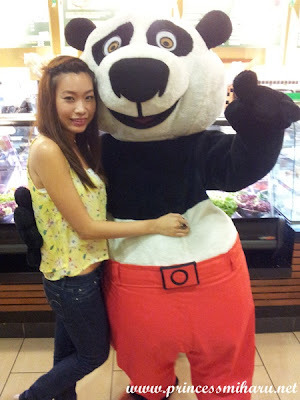 You can treat your hunger in 3 steps with panda.my. 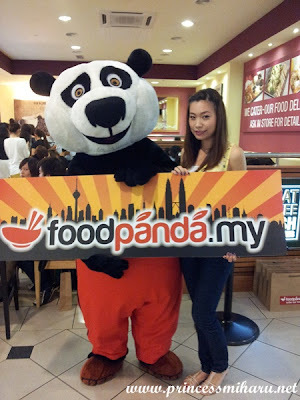 Go to foodpanda.my, enter your area, pick your favorite restaurants, and foodpanda.my will deliver your food to you!! So much easy huh!